The project aims to create a disruptive solution in terms of specific devices and equipment for real-time on-line quality control of key process parameters into the process control environment for cork stoppers manufacturing. The solution promoted by PRECISIONcork project will allow a radical change in current practices in terms of quality control in the production of cork stoppers. By providing a distributed and modular solution to measure and quantify several characteristic parameters related to production of cork stoppers, such as moisture measurement, density, diameter, length, etc and consequent to implement a closed loop control in production equipment involved, will be possible to explore a preventive approach and process control in view of a higher quality final product. This solution will enable the development of “zero-defect” strategies as well as will enhance the implementation of robust traceability mechanisms enabling to meet legal and market requirements deemed critical these days. 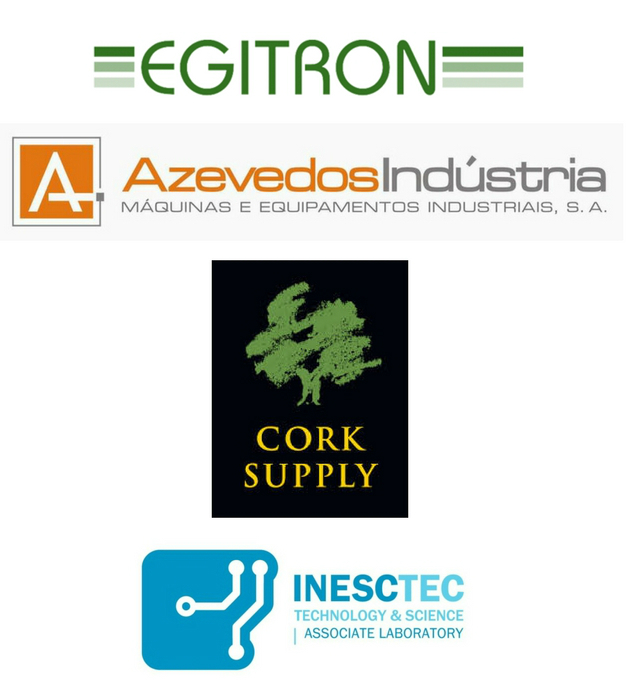 The project will develop a modular solution to measure and quantify several characteristic parameters related to production of cork stoppers, such as moisture measurement, density, diameter, length, etc and consequent to implement a closed loop control in production equipment. Keywords: Industrial Measurement and Control, Smart Object; Humidity Sensing.